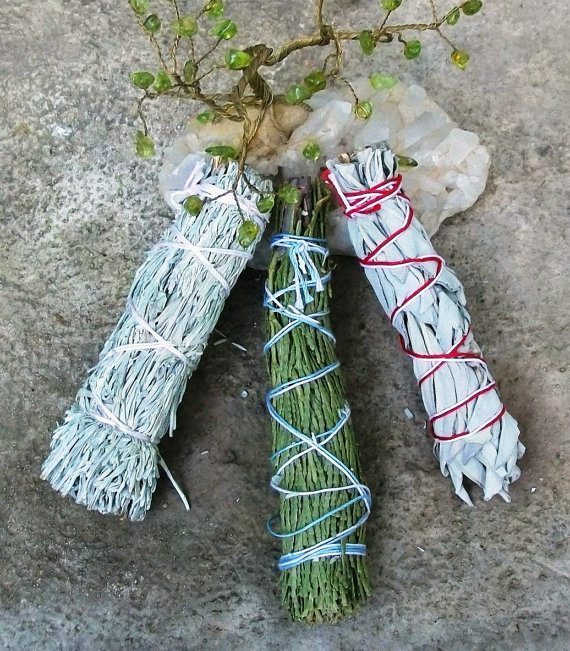 This trio of white sage, blue sage, and cedar bundles are available in Dawn’s Etsy shop. Smudging with herbs and resins is a tradition as old as time, utilized by people of most cultures and spiritual traditions. Herbs and resins have individual healing properties, known to our ancient ancestors, and used and appreciated in modern times, as well. There are many ways to clear, cleanse, and bless you and your home, including herbal smoke, herbal strewing, smudging and blessing sprays, bells, singing bowls, salt lamps, etc. For the purposes of this article, we shall be focusing on herbal smoke bowl traditions. Indigenous peoples of the Americas, as well as those following a Western New Age spiritual or neo-Pagan path, will sometimes use the term “sacred smoke bowl blessing” for this practice, which is an important clearing and cleansing technique for your body, hearth, and home. Smudging is a recommended and welcome practice on a frequent basis to clear negative or stagnant energy, clear energies from your body and mind after a hard day’s work, and to purify the air during and after illnesses of all kinds. It is also a wonderful tool to cleanse new items entering your home, or after visitors exit, to neutralize unwanted energies, charge and bless the space with positive energy, and welcome uplifting vibrations and beings. Smudging can, and should, be done before and/or during a ritual of any tradition, to create sacred space and charge ritual tools. There are a myriad of healing herbs, weeds, flowers, and tree resins that all have individual physical healing as well as energetic healing properties, and can be added to your daily practices, some of which can be easily obtained or wild harvested by you. Don’t be afraid to try new herb and resin combinations in your smudging practice. Many stick with the tried and true California white sage, but if you want to change it up for a more powerful session or a different type of energy, you may want to pair it with a resin such as dragon’s blood or copal. Palo Santo wood sticks or powder is powerful and beautifully sweet-scented, perfect for extra high vibration cleansing, blessing, as well as pain relief. Dragon’s blood works amazing by itself to completely neutralize energy, whether coming down from a party or energetic house guests or clearing space after ritual, sickness, or argument. Dragon’s blood paired with another herb or resin acts as an amplifier for that herb’s properties. Copal is a sweet citrus-scented resin that you will want to use to create a light and uplifting energy in your home (you may not want to burn it at night, or you may not sleep well). 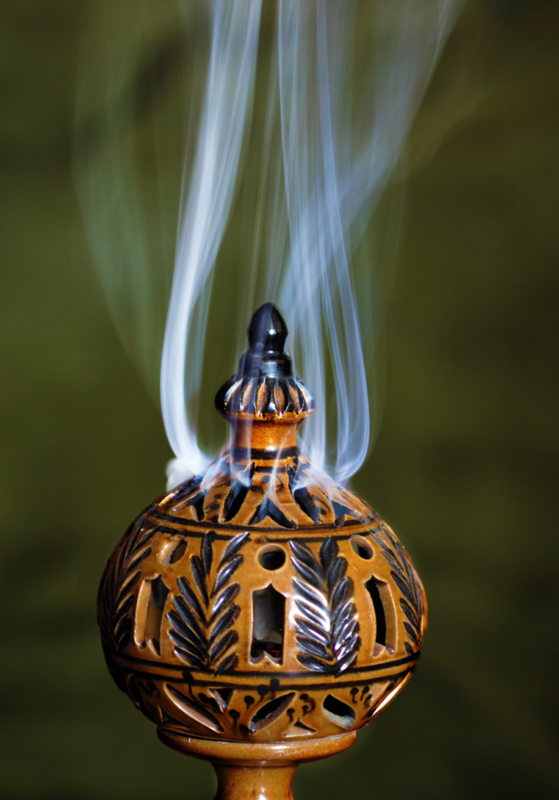 Frankincense and myrrh are wonderful to use during and after any kind of illness and was burned frequently in ancient times for this purpose, as well as general smudging purposes, they smell amazing! You may be familiar with these, as they are used in many religious observances, including the Catholic church, for centuries, and are also great for meditation practices. Benzoin is also used in churches in combination with frankincense and myrrh. This smells reminiscent of vanilla, great for clearing, and is sometimes used in success or power raising ritual. Soothing pinion pine resin is used by many Native Americans in the desert southwest and is so wonderful to burn at Yule, we just love it! Tobacco, sweetgrass, cedar, mugwort (artemisia), lavender, and rosemary are used frequently as well or blended with other herbs for a multi-faceted clearing and blessing blend. All of these have individual and special properties, I highly encourage you to investigate them, find what works for you and your practices, and have fun! To smudge yourself or another, light the tip of a sage wand or palo santo stick and blow out the flame, or light a charcoal disk and when it ashes over, place herbs or resins directly on the charcoal. Direct the smoke (this is typically done with a feather, fan, or hands) toward the heart, then over the head, down the arms and the front of the body. Some start at the feet and work their way up the body. There is no right or wrong, just go with what resonates with you. To smudge a home, open windows if possible when completed to allow the room to clear. Walk room to room wafting smoke as you go, say a personal blessing, prayer, or invocation if needed. Pay attention to corners and closets. For cleansing objects, waft smoke over the object or pass the object through the smoke if possible. In our modern times, humans have strayed far away from knowledge and reverence of the natural gifts of our planet. Many of us have noticed a bit of a shift in regard to people having a great interest, as well as a need, for natural foods and medicines, and a search for spirituality. This also includes a back to nature approach for many and a yearning for that which has been lost by so many over the years of “progress.” Even science is coming to terms with what so many indigenous peoples, empaths and sensitive people, energy workers, as well as those on a New Age path, witches, and neo-pagans already understand about energy and how it works, in the study of quantum physics. We now know that everything is made of vibrating energy, surrounded by a field of energy (what is sometimes termed as “auras”) and that energy cannot be destroyed. When an organic being dies, their energy does not die with them, it simply takes another form. One does not need to have but a basic understanding of this to know that energy fields can be affected by outside influences, whether “positive” or “negative.” Energy really isn’t positive, negative, dark, light, etc. It just IS. The basic difference is simply vibration. Low vibration energy is considered by some to be “bad,” “heavy,” or “dark,” whereas high vibration energy can be considered by some to be “good,” or “light.” It always feels better to vibrate at a higher frequency of positivity and light, of course, rather than to dwell at the low end of the spectrum. It is good to remember, however, that we are having a human experience here and that we have a need to experience ALL the expressions of frequency that we are able. It is natural, normal, and human to do so, and if one is having a “low energy day,” it is OK and should be acknowledged. Energy is cyclical. I consider my sacred space to be my home and surroundings and create mini “sacred spaces” as the need occurs. As a proponent of a daily energetic smudging practice, I can honestly tell you how it has changed my life in many ways. From eliminating some dark entities and energetics to raising the vibration of my entire property with sacred smoke and loving, healing intentions, I have created a warm, inviting, and soothing atmosphere in my world, and allow nothing less to enter my sacred space. 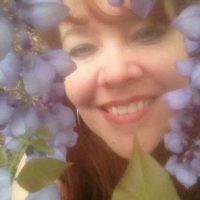 For much more in-depth information on smudging practices, history, crafting, and individual plant properties, please pick up a copy of my Ebook, ‘Sage Advice, A Practical Guide To Energetic Herbal Smudging, Cleansing, and House Blessing’. This comment might fit here. Anyway, there is a small grass about a foot high, I mostly see it in institutional plantings. I bought it as an annual and had it for years, never did identify it. Very inconsequential,looking. I planted it in the front yard, One fall I was burning plants, which I did very carefully. It worked out all right for the most part except for killing nearby plants, which I found out the next spring. I set this grass on fire in a small area mind you and got a fire from hell. Black smoke was everywhere. It was unbelievable. The fire department came. Someone saw fit to call. I explained in the most obsequious way to one particular fireman knowledgeable about prairie plants. I could have been written up. The plant did not come up the next spring. Either the fire killed it or someone took it. I am positive this was one of the smoke signal plants. Some made colored smoke. I had seen an exhibition something about this years ago. He used some kind of blanket. How interesting, Cindy! Thanks for sharing. I’m not familiar with a grass like that at all, it sounds like it really put on a show!